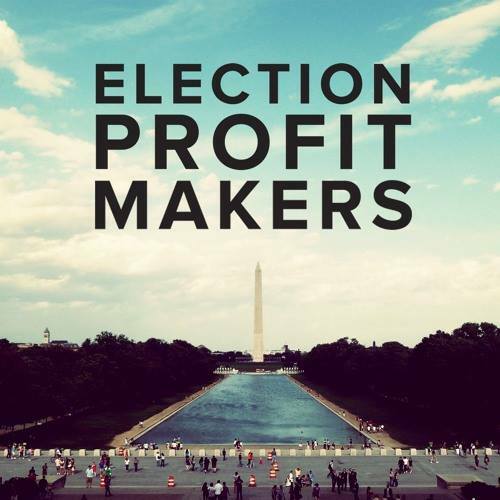 October 12, 2016: DAVID REES, co-host of ELECTION PROFIT MAKERS, live in studio! It's WEEK 2 of WFMU's October Silent Fundraiser and I've got a great show for you tonight! Entrepreneur, humorist, and television personality David Rees joins me in the WFMU studios to share some of his favorite records with you, the WFMU listener! David co-hosts the hilarious and insightful Election Profit Makers podcast about election-related prediction markets; he's also the author of How To Sharpen Pencils and hosted Going Deep With David Rees on the NatGeo and Esquire networks; in the 2000s he created the comics Get Your War On and My New Fighting [or Filing] Technique Is Unstoppable. If you like what you hear -- on this show, or anywhere on WFMU -- I hope you'll take a moment to make a pledge now. Hello Funkateers! Evan, are you ready to admit that The Toronto Blue Jays are the real deal yet? @efd I like it! It truly is time for the funk! Thank you for helping me disturbing the neighbors even more than usual. I.BJ. !!!!! What a great story! I liked Heat of the Moment too. Yeah...Night Flight. Including Doug and the Slugs. Jake: You took the the words right out of my mouth. Saw stuff on that that still blows my mind. George McRae musta been doing her wrong! EFD, tell David that he should tweet the next time he's going to do karaoke again at the Carriage Inn. His Going Deep viewing party there was such fun. Pledge til yer pledger smarts. I enjoyed David on the Baffler blog during the debate. At first I thought he said "it's my gin music"
EFD is not an amateur! A tad Fleetwood Mac influence here? 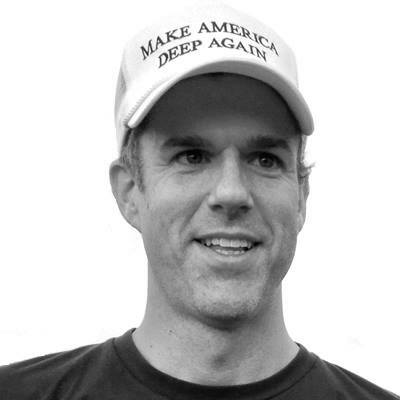 <3 you, David Rees. I saw you with John Hodgman in Hartford & think of you every time I make a paper airplane. Pick something out for me to listen to. Sounds a bit like REO Speedwagon to me. I think that was the year I lived in Chapel Hill. I remember all those bands, or at least all those band names. Yay Metal Flake Mother! Weird year that was. Fled Chicago when everything in my life went to crap at once. Lived in a house in Carrboro infested with camelback crickets, washed dishes at a diner and went to the Cradle three or four nights a week. Met someone there and moved to New York with that person a year later. Tempted to call in... but how to just casually chat with two of the most supremely cool dudes of cooldom... Better to just let them do their own talk and spin the tunes. Definitely reminds me of Archers of Loaf, like Web in Front? See, I'm so rattled I didn't even log in before commenting. @Shelagh Web In Front is still one of my favorite 7"s. That was a big "hit" the year I was there. @brian That is an awful lot of cool dudeness in one studio there. But call in anyway, I'd say. What a great show tonight. Good tunes, cool on-mic vibes. Didn't realize that David was the same guy I heard on the CBC a couple years ago, as the artisanal pencil sharpener, and back then I didn't realize he was the same guy who penned Get Your War On/Filing technique. It's all coming together now, as one of my favourite singles by Polvo plays on. @Kat I wasn't there; I was in CT in the early 90s, but had a friends who introduced me to them much later. But he had great taste in music! I didn't put all that together at first either! I remember the artisanal pencil sharpener interview. Haha, I should mention that two of my co-dishwashers were Jimbo Mathus (then of Metal Flake Mother, Squirrel Nut Zippers were just getting started when I left) and Eric Bachmann. Super nice guys, both of them. What?!? That's amazing. I love everything he does. I saw him with Neko Case this spring. vg music, nice talking too. I've seen david rees do pencil thing at BandN (I gave a ny transit pencil to someone to give to him; there's a pencil store just blocks from me!) and a talk at Housingworks where his "bayonet " umbrella was mentioned. Love his Get Yr War On. Oh, DHall turned 70 this week. I'm really glad he's done so well. I think Crooked Finger speaks to me more than Archers of Loaf. Seriously just gets me in the gut. The Coffinworm stilled the fingers of the EFD comment board. Now I'm definitely having high school dance flashbacks. They don't call him Kid Midas for nothing! agggh, thanks Shelagh! I went back and edited my comment, thank you for pointing that out. No worries! Just want to make sure people can find it! Heya Evan. Lots of comments, lots of music. Even the old man Daryll Hohl. I saw a Doug and the Slugs reference in the comments. Awesome! Josh Marshall TPM and EFD Radio!!!! The whole Yacht Rock series is great. That's where I first heard about "smooth" rock. Hot pastrami is definitely a new one on me. This song rules and I am very happy it is on Spotify. Two thumbs up for this show! Just added my third Spotify song in a row and realized my last comment was pure, sweet evergreen. That David Rogers song was fantastic. I kept wanting to turning it into a cover by The Band. Just add the obligatory laugh track and we'll have the new WFMU morning show right here. EFD and David in the AM Mahem Show! Cool...Beacon and Fishkill are just down the road from me up here. Daryl Hall lives in Dutchess County, too. Thank you for the Nina Simone. This is one of my favorites by her. She was and is timeless. Thanks for answering my question! This was a fantastic show! Yes, great show. Come back again some time, David. Loved the show! David Rees is 1 of a kind and also very good at music! Bert Sommer was one of the opening acts at Woodstock, and did not make the movie or albums. He had a mid-chart hit in 1970, "We're All Playing in the Same Band" which I always remembered.